The event may have closed (peacefully), but the collective intent and powerful energy created will now take over with inertia. The critical mass was achieved and the people have done a great job indeed! THANK YOU UNIVERSE. THANK YOU MOTHER EARTH! The area around Dataran Merdeka is filled with Bersih 4 participants. The rally ends officially at midnight. – The Malaysian Insider pic by Najjua Zulkefli, August 30, 2015. The Bersih 4 rally ended at the stroke of midnight with the singing of Negaraku and chants of “Merdeka” but Coalition for Clean and Fair Elections (Bersih 2.0) chairman Maria Chin Abdullah hopes that the two key messages from the rally would live on and become a reality. Man Claims To Have ‘Found The Cure For All Diseases,’ And Has The Supreme Court Ruling To Prove It! Selling bonds is called “passing the hot potato”; wonder who is going to end up holding the ‘debt’? But, hang on, if a bond is a debit instrument then surely if a bond fails, it should then credit the national debt? Tens of thousands of protesters have rallied outside Japan’s parliament to oppose legislation that could see troops in the officially pacifist nation engage in combat for the first time since World War II. Organisers said about 120,000 people took part in the rally in the government district of Tokyo, filling the street outside the front gate of the parliament, or Diet. Similar demonstrations were held across the nation. In July, the more powerful lower house passed the bills that allow the army, or Self Defence Force, to engage in combat when allies come under attack even when Japan itself is not. – You are a debt slave. Don’t believe it? 43% of all American families spend more than they earn each year. According to the Federal Reserve, and I’ll describe the fictional premise upon which they stand momentarily, the average American household is at least $75,000 in debt. Overall, consumer debt in America has increased by a whopping 1700% since 1971. Approximately two-thirds of all American students graduate from college with student loan debt. But what of this debt? Is it real anyway? Arnie Asks: And what about American Sovereigns not affiliated with any specific church? This is under the temporal role of the Holy See, not the Sacred offices as I stressed in my comment. Two hats. Two roles. One role is secular and administrative. One is religious. Anyone of any religion can be a sovereign, but the Holy See in its temporal role defines what a sovereign is and also the rights and duties of a sovereign. Thus in the most abstract sense all sovereigns occupy an office created and defined by the Church. It is in applying the duties of a sovereign that the power of the office lies– the exact opposite of what people expect. – “…Both of these entail a fundamental change in the way money is created. Positive money refers to money created directly without debt by the government, which can be given directly to debtors for debt repayment or used to purchase debts from creditors and then cancel them. Negative-interest currency (which I describe in depth in Sacred Economics) entails a liquidity fee on bank reserves, essentially taxing wealth at its source. It enables zero-interest lending, reduces wealth concentration, and allows a financial system to function in the absence of growth. 2) Have plenty of canned Goods and water to survive ONE MONTH in your house. 3) Agree with your family on a meeting place in case communications go down and you have to leave ! ! ! ! Folks here in the USA should take this advice RIGHT NOW. Don’t wait. If you wait and other folks don’t, they will strip the stores bare before you ever get there. David Swanson explains the Kellogg-Briand Peace Pact. In 1928 U.S. Secretary of State Frank Kellogg and French Minister of Foreign Affairs Aristide Briand proposed that all nations join them in signing a pact outlawing war as an instrument of national policy and called upon all signatories to settle their disputes by peaceful means. 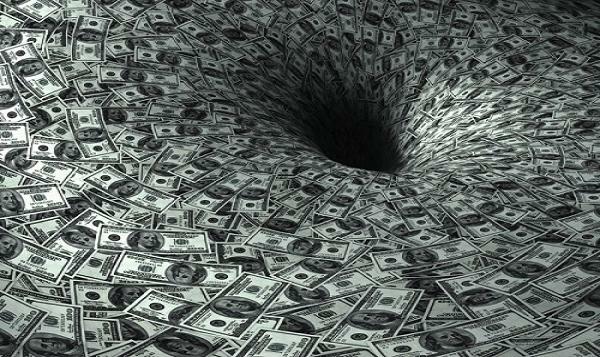 Source: Nullifying The Federal Reserve: ……and it’s gone! Source: Stock Market Meltdown. There Will Be No Economic Recovery. Source: Carl Swensson: Listen up folks—The real party has just begun! Here is your invitation!